A good friend I have known since I was 12 had her third baby last week and I had to make her a softie! She is crafty herself and I knew she would appreciate it. I made this sweet bear from a woolen skirt given to me by my sister. 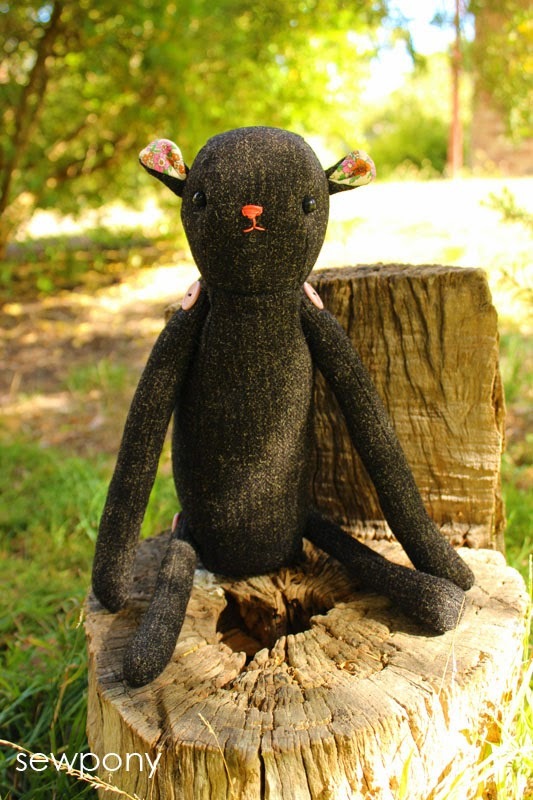 The pattern is adorable and is by the very talented soft toy maker and pattern designer, Fiona Dalton of HopSkipJump. Fiona is Australian too and I just LOVE all the toys she makes. I have her HopSkipJump book and I have used it heaps already. I have made the mouse, cat, monkey, fox, bunny and now bear! If you are into making soft toys, this is such a good book to have. Fiona promotes sustainable sewing using lots of recycled fabrics and organics. This pattern is called "Louis". I planned on making this bear if Emily was born a boy as we planned on naming her/him Louis! So I finally made a Louis for gorgeous baby Gia Scarlett - what a lovely name! And she is so sweet!! The photo below was taken with my phone so is not super clear but you get an idea of how cute Gia is and how she stacks up against her new bear!! I highly recommend Fiona's book - it has so many adorable patterns in it. You can see all the other toys I have made using Fiona's patterns by clicking here. Have a lovely weekend! It's adorable, Suz! What a sweet gift (and darling baby!). What a heartfelt present Suz :) I am sure your friend absolutely loves it! When I was a kid I was sewing soft toys by hand and loved it. Haven't made any since markets... must have burnt out! 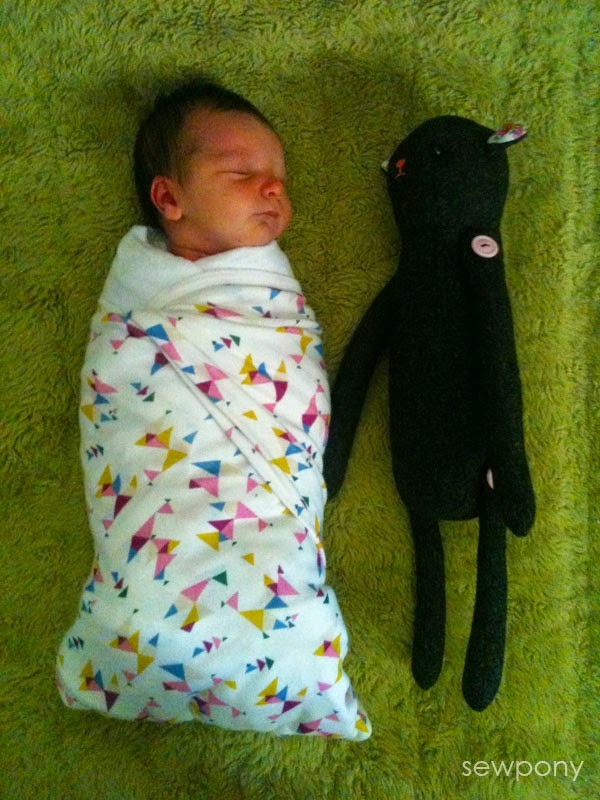 Great gift, I love these type of photos of a baby with his/her plush animal. I have one with my son and his favorite bear when my son is 2 days old, it looks so huge in his baby pictures! Such a lovely teddy bear! Its always nice with handmade gifts. Im sure little one will love this bear. Thank you Fiona! I love your patterns and am so glad you stopped by my blog!! You've made a very cute softy! I love the detail of the 'G' you embroidered on the bear. Cute bear, but woah super cute baby girl. 2. I was visiting when Suz and her beautiful girls gifted this sweet bear to Gia!